Sinatra Ya Sinatra Ya, japanese restaurant - Certified Kobe beef in Madrid. The opening of our restaurant specialized in Kobe meat in Madrid is the result of a thorough preliminary study. Where can we eat authentic Kobe meat? There are a lot of restaurants in Madrid that show in their menu Kobe meat. Shinatoraya has the oficial certificate, issued by the Japanese Government, of the authentic Kobe meat. Jay Joden, owner of Shinatoraya, born in the city of Kobe, and he has there his own farms of Wagyu, the cow with the best meat in the world. 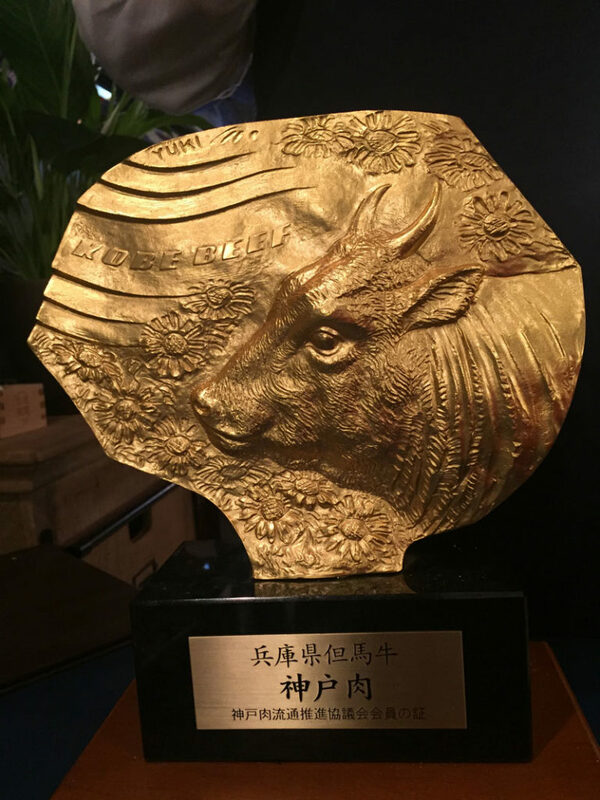 In its emulation for offering the best product, Jay obtained, already many years ago, the oficial certificate of the authentic Kobe meat. And now we offer it to the people who want to visit us in our restaurant in the neighborhood of Salamanca, in Madrid. The most extended concept of a japanese restaurant is more focus in the raw fish, sushi, sashimi, maki…and there are few japanese restaurants that offer Wagyu or Kobe meat in their menus. Are we the best Japanese restaurant in Madrid? We do not know, but we want to be. Only our customers can say it. As we say, the Madrid public is very demanding and, under that premise, our intention is to be the best Japanese restaurant or at least be among the best Japanese restaurants in Madrid. That is why our maxim is to base ourselves on the product and on the quality. In our menu, beside of the best Wagyu Kobe beef, the diner will find other traditional Japanese dishes such as gyozas, outstanding dish of the Cantonese region, miso soup, sushi-yaki, sushi Wagyu, tori katsu curry or the ebi tempura, among many other Japanese specialties. But if you really want to taste the authentic Kobe beef, among others that we offer in our menu, the best options are our Sukiyaki, with an exclusive selection of fine beef loin of high-marbling Wagyu, or Japanese-style fondue, called Shabu-Shabu, also served with the high marbled Wagyu spine. Our eagerness is to be of the taste of our clients and to turn us into a stable reference of Japanese restaurant in Madrid. We like this city.